The US government has directly spent $350 billion since 2007 due to climate change, according to the Government Accountability Office. These costs will rise exponentially with time, potentially hitting more than $100 billion yearly by the end of the century. A US government watchdog has published a new tally for the cost of climate change in recent years that includes eye-popping estimates for the future: climate-linked disruptions could cost the United States $35 billion per year by 2050. As the country reels from the devastation wrought by hurricanes Harvey, Irma and Maria, the report from the Government Accountability Office (GAO) finds the federal government has "incurred direct costs of more than $350 billion because of extreme weather and fire events." That includes $205 billion for domestic disaster response and relief, $90 billion for crop and flood insurance, $34 billion for wildland fire management and $28 billion for maintenance and repairs to federal facilities and federally-managed areas, the report says. 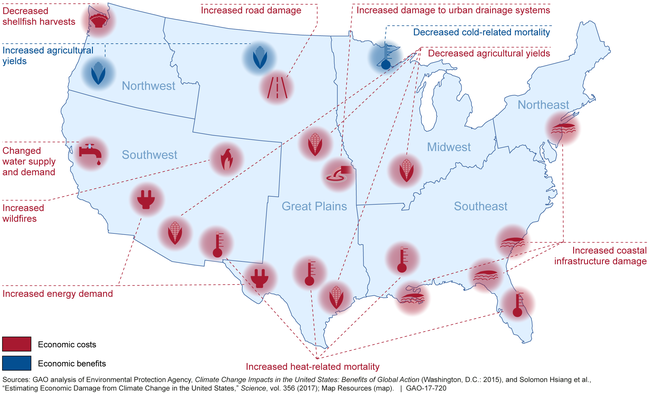 The report notes the effects and costs of extreme events "will increase in significance as what are considered rare events become more common and intense because of climate change." 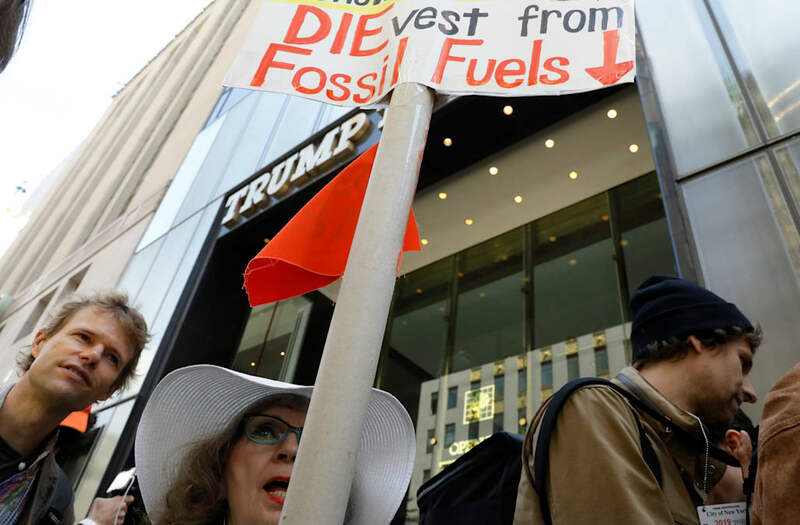 By 2050, the yearly cost of climate change to the federal government could rise by $12 billion to $35 billion per year, the report says, and that range would surge to $34 billion to $100 billion by the end of the century. NOW WATCH: Is bitcoin a bubble or the future of everything?